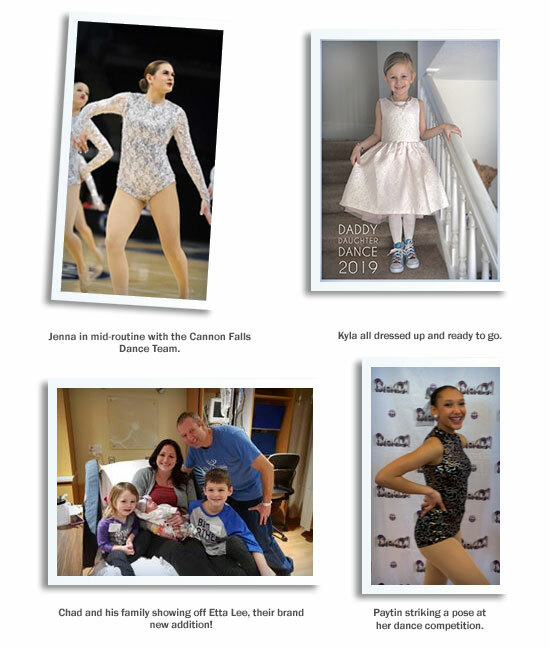 • Connie’s (Technical Writer) daughter, Jenna, was selected to dance on the MN All State Jazz Team and competed in the MN State Jazz and Kick dance competition. • Katrina's (Customer Service Representative) daughter, Kyla, dressed up to attend the annual daddy daughter dance. 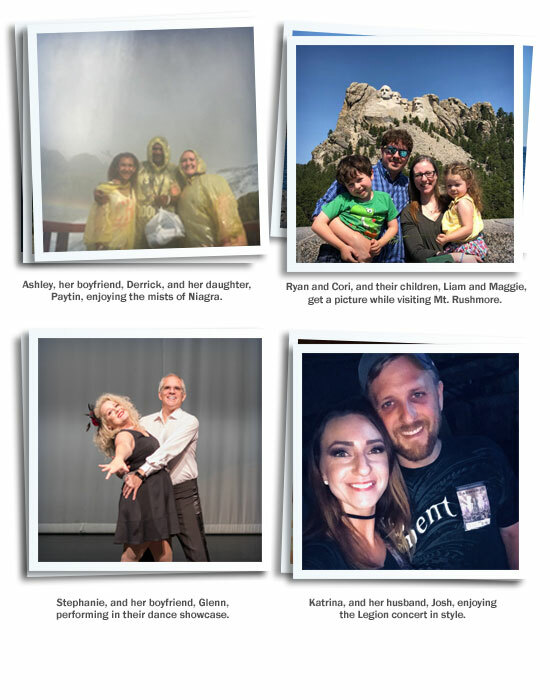 • Chad (Sales) and his wife had an addition to their family. Welcome Etta Lee! • Ashley’s (Technical Support Specialist) daughter, Paytin, participated in the Bravo Regional Dance Competition. • Roxie (Administrative Assistant) attended the Hot Air Affair with of three of her grandsons. • Janet (Customer Service Representative) enjoyed our record-breaking snow amounts by starting something new: “Snow Yoga” along with her dog, Smokey. • Matt’s (Sales Consultant) daughter participates competitively in her high school Winter Guard program. • Connie’s (Technical Writer) daughter, Jenna, was accepted into South Dakota State University for the Fall of 2019. She will be majoring in Human Development Family Science and hopes to compete on the SDSU dance team nationally. • Katrina (Administrative Assistant) enjoyed a wonderful family vacation in Sand Lake, WI. • Mike (Quality Assurance Manager), his wife (Kathryn), and daughter (Kadence) vacationed to Boston, MA - shown here by the USS Constitution. • Ryan and Cori’s (Graphic Designer – QA Analyst) son had a little mishap on the monkey bars which got him a trip to the OR to have a bone aligned. • Jada’s (Technical Support Specialist) son, Lane, won the AMA Youth Hillclimb Racer of the Year award in Monson, MA bringing home a trophy as tall as him. Pictured here with dad, Josh. • Ashley’s (Technical Support Specialist) daughter, Paytin, at Campo Wapo is famous. They took her picture from last year and made posters to put around the camp. One proud mom. • Ashley, (Support Technician) Derrick, and Paytin went on a trip to Buffalo, New York, and visited Niagara Falls and attended her Uncle Jimmy’s 70th birthday party. • Ryan and Cori (Graphic Designer and QA Analyst) took a family vacation to South Dakota. • Stephanie (Marketing) and Glenn have been taking dance lessons for a year, and they recently performed in their first dance showcase in St. Paul, MN. • Katrina (Administrative Assistant) and husband, Josh, enjoyed a concert VIP style. • Pam (Administrative Analyst) with daughter, Lori, and grandchildren, Micah, Miles, Lena & Mariah, at Crystal Cave in Spring Valley, WI. • Mike (Quality Assurance Manager) (Captain America) and his daughter, Kadence, before their Dad/Daughter dance. 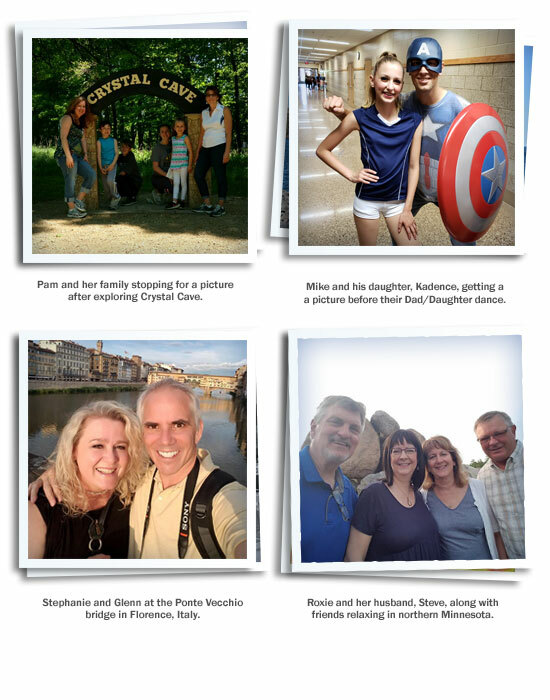 • Stephanie (Marketing) and Glenn enjoyed two weeks in Italy last month. 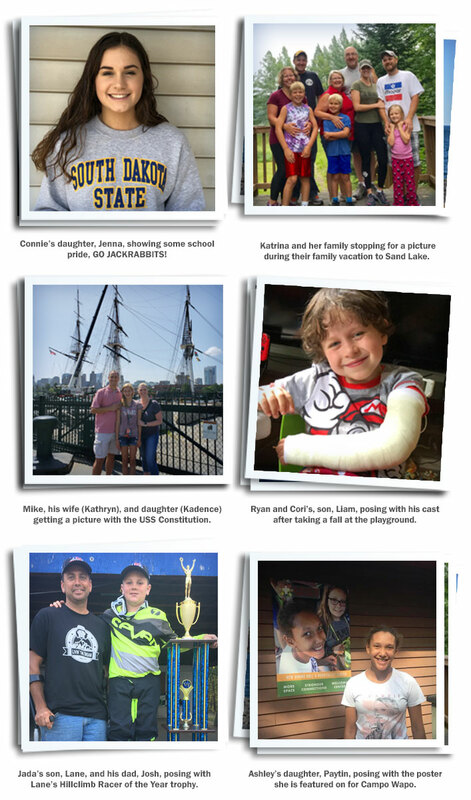 They traveled all around the country and had a wonderful time. • Roxie (Administrative Assistant) with husband, Steve, and friends enjoyed a fun, relaxing vacation in northern Minnesota.